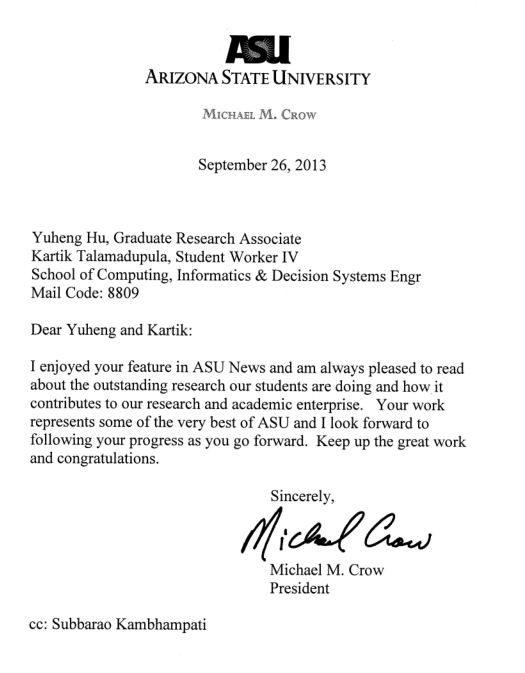 I completed my graduate studies in the Computer Science department at Arizona State University. I have been a University Graduate Fellow and a Science Foundation Arizona (SFAz) fellow. 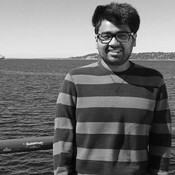 Prior to beginning my graduate studies, I was an undergraduate in ASU's computer science program. I went to high school (and earlier) in India. Note: Elementary school education is not shown on this page. If you think we've gone to school together, please contact me. Other places I've been to school at include Delhi (Uphaar Public School, Bal Bharati Public School), Gaya (Nazareth Academy), Chennai (Bhaktavatsalam Vidyashram) and Berkeley (UC Berkeley).